The blue colored OLYMP Luxor modern fit shirt made from 100% cotton is the perfect choice when you’re travelling – either for wearing on your journey or packing in your suitcase. 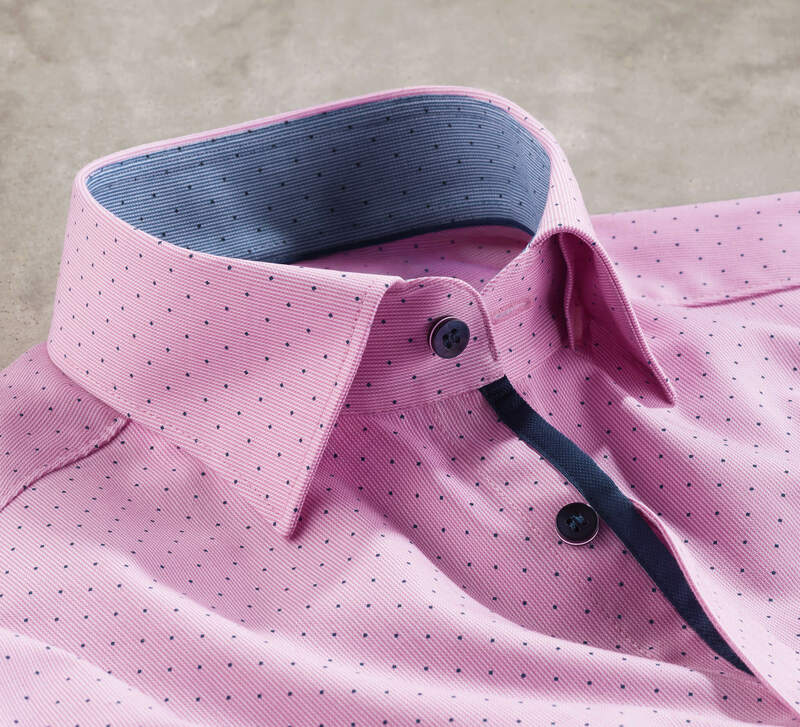 With its non-iron and wrinkle-free characteristics, it will still look crease-free when you reach your destination. Pattern: Modern fit. Non-iron. Wrinkle-free. This stylishly contemporary type of cut fulfils the current trend for a slim silhouette thanks to its light waistline. 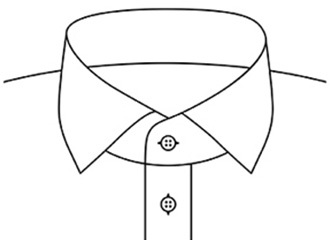 The Global Kent is an extremely modern collar for business outfits. 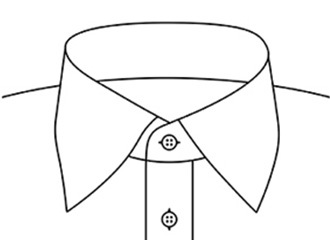 Somewhat more compact than the classical version and with slightly shortened collar shanks, this collar is ideal for ties with small to medium-sized knots, but can also be worn casually with open collar stud. 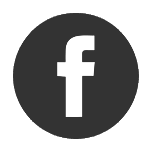 The fabric used for OLYMP shirts is made from pure cotton. An indicator of the high quality is the long staple i.e. 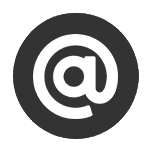 the length of the individual fibres. The natural product is durable, kind to the skin, permeable to air, tear-resistant, breathable and absorbent. In order to achieve product characteristics the fibres undergo sophisticated finishing processes, which, as well as retaining the natural properties of the cotton, must conform to comprehensive human ecological requirements in accordance with Oeko-Tex Standard 100. 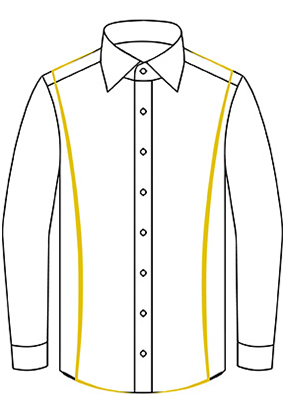 Always wash white and coloured garments separately. To preserve the brightness of colours, we recommend that you use a detergent which is specially formulated for delicate fabrics. Only use an all-purpose detergent for whites. Always check the article’s care label and follow the washing instructions. 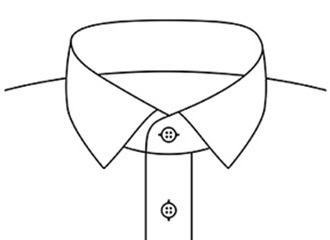 Turn shirts inside out and fold collars and cuffs inwards to reduce wear and tear on edges. 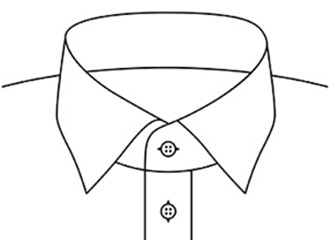 For best results wash a maximum of 6 shirts per washing cycle. Spin with a maximum speed of 600 rpm. 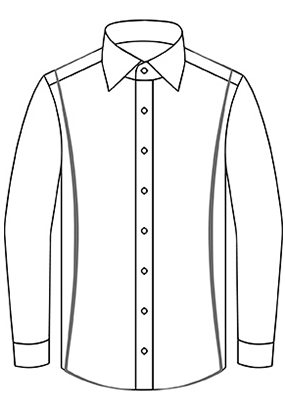 After the wash, shirts should be hung immediately on hangers, and collar, cuffs and button panel smoothed out. 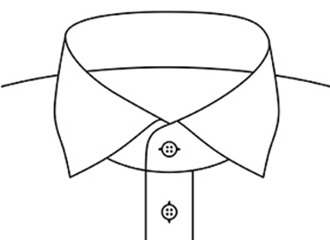 Shirts dried in a tumble dryer should also be hung immediately on hangers after the drying cycle and pulled into shape. 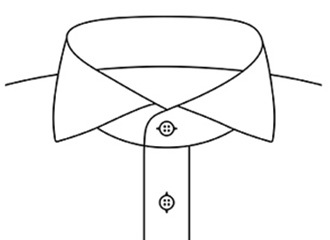 Once dry the shirts are smooth. However, if you still wish to iron them, avoid using an overheated iron (maximum 2 points) and keep in mind that the set temperature may diverge noticeably from the actual ironing temperature. 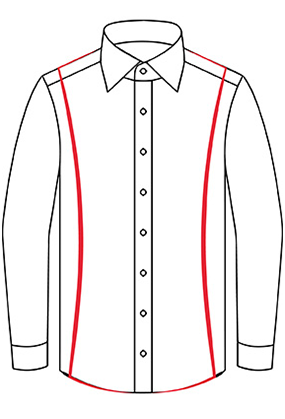 Collars and cuffs should be lightly ironed inside out. Any remaining wrinkles disappear automatically during wear as a result of your body heat. 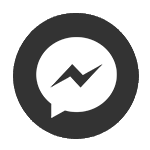 วันจันทร์-ศุกร์ 8.30 - 18.00 น.